WAPAKONETA — Last spring Wapak played in the final baseball game for Division II at Huntington Park. 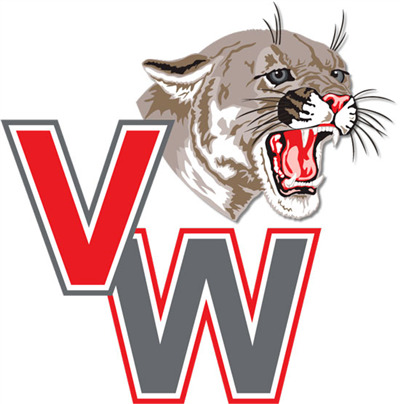 This spring, Owen Treece and Van Wert Cougars shut them down, winning 3-2. Early in the season Coach Witten stated that Treece was one of the guys that is always going to give a good performance on the mound. Tuesday, he did just that. Treece got the win, allowing two runs in his complete game against last year’s State Runners-Up. The sophomore struck out five and walked three. Both runs were scored in the bottom of the seventh inning. Keaton Brown and Jalen McCracken scored the first two runs for the Cougs in the second inning. They had back-to-back, one out singles, and came around to score on a Jaxson Amweg basehit. The game was still at 2-0 until the seventh when the Cougs got an insurance run from Nate Temple. The first baseman led off the final frame with a hit to right field, and came around to score on a ground ball by the bottom of the order. Van Wert had 10 hits and left 21 men on base Tuesday night. Though 21 men left on base is quite a lot, the shake down is that after seven innings the Cougs had more runs than Wapak. Wapakoneta got the tying run to third base with their shortstop and two-hole at the plate, but Treece sent him packing on a strike-out looking. Wapak led off the seventh with back-to-back singles then a hit batsman loaded the bases, and Coach Witten decided to leave Treece in the game and let him finish it. The next two batters struck out and flew out, before the lead off hitter for Wapak, Brady Erb, singled to right field bringing in two runs. As stated, Treece struck out the next batter and the Cougs went home happy. Van Wert is now 9-2 and 2-1 in the WBL. Wapak falls to 5-4, 1-2.